Ready for some real responsibility? Looking for an alternative to BigLaw? At Keker, Van Nest & Peters, we regularly take on cases that are headed for trial—the toughest cases with the most at stake. The lawyers we hire are eager to sit with the best, and across from the best. And when they get here, that’s what they do—from Day One. Why Keker, Van Nest & Peters? 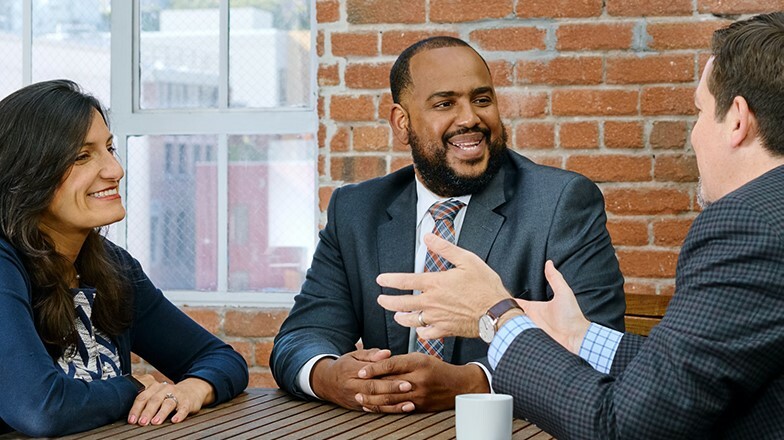 We believe the best training comes from actual experience, and make every effort to use assignments as a mentoring opportunity for associates. 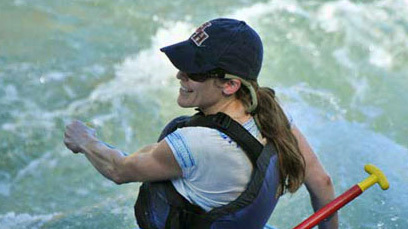 A white-water rafting guide, Jennifer Huber knows how to navigate rough waters. Stuart Gasner When Stuart Gasner isn’t taking on the SEC in court, he can be found carving waves in Honolulu or Santa Cruz. Stuart has been an avid surfer for years! Nic Marais Although he might not jump from a plane to hand deliver a brief to the courthouse, Nic Marais has been known to go above and beyond for clients. 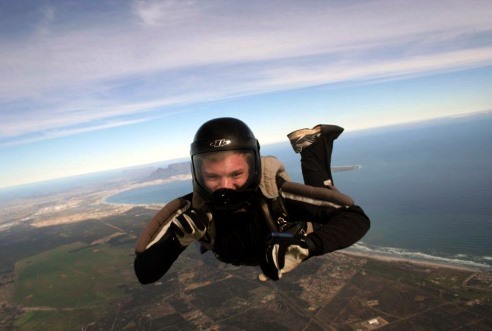 Sky diving is among his many passions outside the office. Christa Anderson Wait until she takes her gloves off, that’s when she really terrifies her opponents. Despite a busy schedule, Christa manages to maintain a regular workout routine. Jennifer A. Huber A white-water rafting guide, Jennifer Huber knows how to navigate rough waters. Steven P. Ragland Steven Ragland knows that to be a great litigator, one must handle treacherous situations with ease. 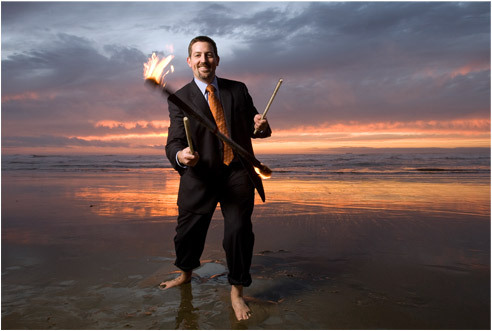 Fire juggling is one of several unique jobs and talents displayed by Steven prior to becoming a lawyer.